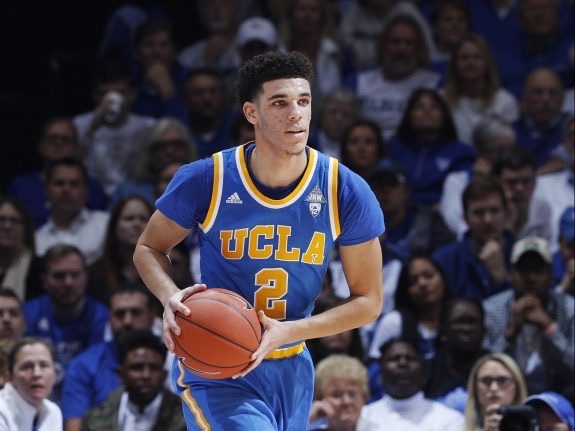 With Conference play half way done and March Madness looming in the wings, NBA draft talks are starting to be more and more relevant. I decided to give my predictions in here in my early February Mock draft. Fultz has been floating in the top three spots all year and I believe he will end up will end up being taken number one. His offensive abilities are just way too good to pass up. Some people may argue that he is not a true “fit” with the Celtics, but we no dominate big man, Fultz should be the number one pick. This might shock a few people, with point guards Lonzo Ball and Dennis Smith Jr. still on the board. However, does Phoenix need another guard in an already loaded backcourt? I say no, hence the Jackson pick. Jackson elite athlete with the ability to take the ball off a rebound go the distance by himself, and is a very good on ball defender. His jump shot needs to be improved but that is something that can be fixed with reps.
Now before you start with the “the Lakers already have Russell and Clarkson” argument hear me out. The talent Ball possesses is undeniable. His vision is on another level, his overall feel for the game is great, and his jumper despite his form is solid. Ball has a chance to be one of the best point guards in the league with his 6’5’’ size and talent. Too much potential to pass up here. The Dirk Nowitzki era in Dallas has to end eventually and I really cannot see Harrison Barnes as a true number one option, he is good but not as a number one. In steps Dennis Smith Jr. Smith Jr., is a physical freak with solid speed, good size, and strength for the point guard position. A great ball handler, he has the ability to take the ball to the hole or create his own shot. His defense and 3pt shot can be improved, but Dennis can be the next face of the Mavericks. Now here comes a tricky pick. As we look at the Magic’s roster, we have two directions we could go. They could let Serge Ibaka walk and move Aaron Gordon back to the power forward spot, or resign Ibaka and draft a guard to back up Elfrid Payton and Evan Fournier. 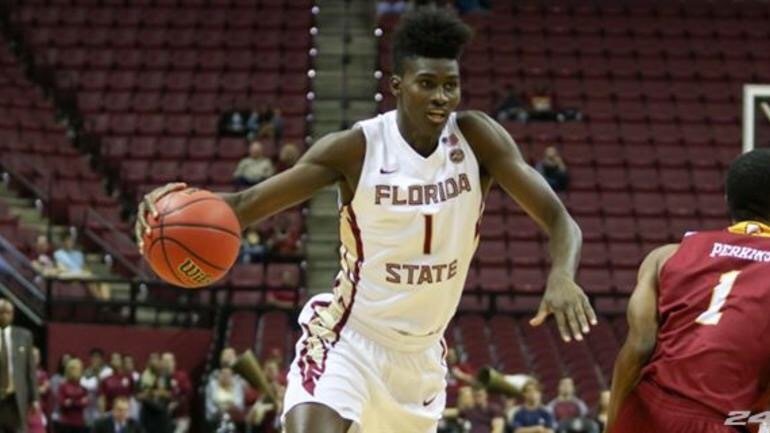 I think the move here is to let Ibaka walk draft Jonathan Isaac. Isaac is a lanky forward at 6’11’ with a 7’1’’ wingspan. His ability to step out to the 3pt line makes him a prototypical stretch four. He needs to get a lot stronger if he is going to play the four however as he currently sits at 205 lbs. The potential is here though. Do you trust the process? Because this year I am trying to get a spot on the Sixers bandwagon. Embid is the truth and Simmons is just waiting to be unleashed. The obvious hole for philly is guard play and 3pt shooting. 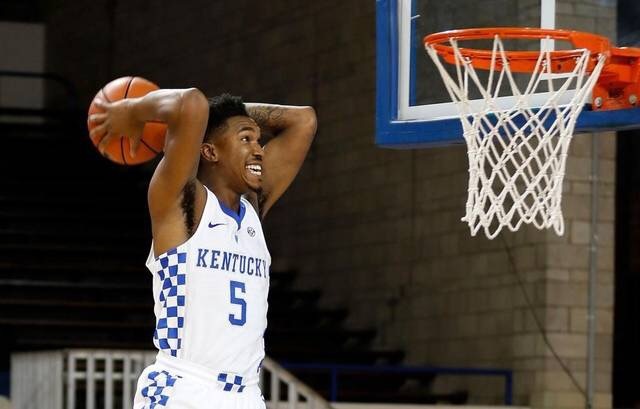 Malik Monk has been a shot taker and shot maker for the Wildcats this year. With a 47-point game already to his name, the high flying Monk is a good cornerstone guard for philly. With Monk off the board, and Dragic locked up until 2020, the Heat’s best bet is to try to replace Chris Bosh. The clear choice here is Markkanen. The seven footer is arguably the best shooter in the draft connecting on 50% of his threes so far this year. Markkanen is a solid pick and pop player who should fit nicely next to Hassan Whiteside. Minnesota finds itself in a best player available situation. I still have faith in Kris Dunn, as I still think he will be a good player, but here you cannot pass up on Fox. Fox has burner speed and will be one of the fastest players in the league to moment he is drafted. A defensive pest and an ace in transition, Fox will carve out his niche in the league. His three point shot will need work. Jayson Tatum falls into the perfect situation in New Orleans. New Orleans is in need of another player to help Anthony Davis. 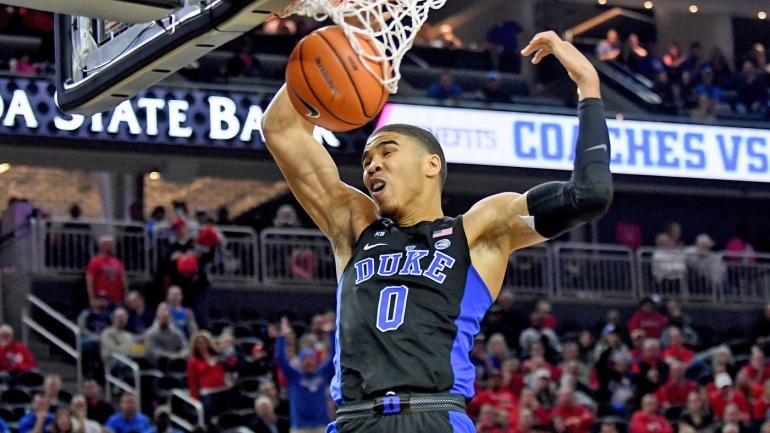 Tatum is a smooth wing who can score in the half court with a variety of moves. A good but not an elite athlete, Tatum needs to improve his defensive consistency. Will be a nice fit next to Davis at the three. The Sacramento Kings have been a puzzle for as long as I have watched basketball. Demarcus Cousins is top ten player, but like Anthony Davis, needs help. Frank Ntilikina has to be the pick after not having a franchise point guard since Mike Bibby. Ntilikina is a big guard who is very disruptive on defensive end. Standing at 6’5’’, he uses his length at both ends of the floor. Needs to be more aggressive however as he can be too unselfish at times. Whom will the Knicks pair with the Unicorn Porzingis? With the top four point guards off the board, I think a frontcourt partner for Kristaps is the move. Why not pair him with another relatively unknown draft prospect with globs of potential, Justin Patton. Patton came into this year as an unknown but has shot up draft boards. A 7 footer who dunks EVERYTHING, Patton is a mobile big who has shown touch out to the 3-point line at times. If he can put his physical tools together, this could be a pairing for the ages. Needs to work on his rebounding as he averages below 10 rebounds. Giles was the consensus number one high school player despite having two knee surgeries in high school. After another surgery this year and a slow start, I still think Giles is too good to pass up. The talent is there, Giles is an aggressive no nonsense big man who has great footwork and pounds the boards. He is a good athlete too who actually played at the top of the United States’ 1-3-1 press in the FIBA U-19 games. The knee surgeries are scary, especially for Portland after Greg Oden. Detroit is an interesting situation. Andre Drummond is a man-child and Kentavious Caldwell-Pope is an emerging 3 and D player. Stanley Johnson has great potential as well. With three different options to pick at Power Forward, I think the fit here is TJ Leaf. Leaf has surprised a lot people with his play this year. A high motor big, who has shown the ability to hit the midrange jumper and but the ball on the floor, Leaf will create space for Drummond to own the paint. Leaf may not have the most potential out of any prospect, but his floor could be the highest. The first non-freshman college player taken is Ivan Rabb. Rabb stunned a few people by returning to school after being a projected lottery pick. 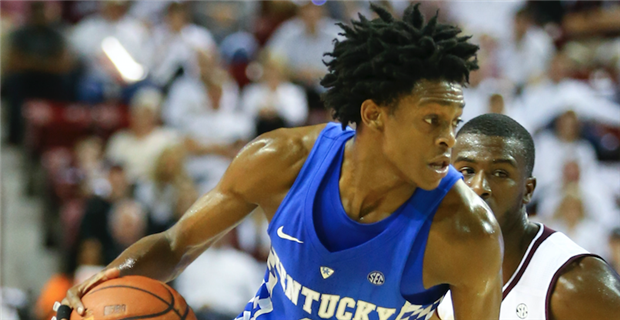 Rabb has played well enough to retain his lottery status. A shot blocker and rebounder, Rabb as improved his offensive game as well. He has shown touch around the rim as well. He should fit nicely next to Jabari Parker, who is more of a 3 than 4, and Giannis Antetokounmpo who is a position less superstar. The first of Denver’s two first round picks, I think here you should go boom or bust. The player who comes to mind for me here is Miles Bridges. Bridges is one of the most explosive players in the draft and is a SportsCenter highlight waiting to happen. Bridges tries (and does) dunk everything he can and possess a great motor. However, what will Bridges play at the next level? He is 6’7’’ so he is a bit under sized for the power forward slot, but does not have a real perimeter game. Needs to improve his 3-point shot. 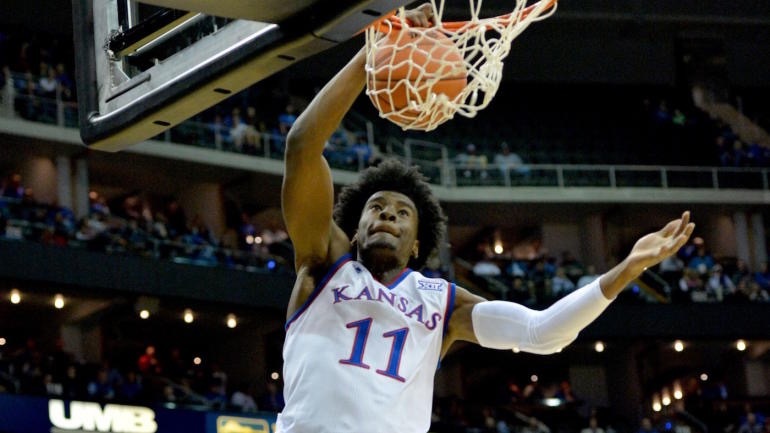 Will he be a Kenneth Faried or a Derrick Williams? The Hornets are in the need of a power forward. Hartenstein fits well with his ability to stretch the defense and score. Has good footwork and is a good pick and roll/pop player. High IQ passer as well for a big man. Plays with his heart on his sleeve and it shows, as he is extremely emotional when he plays which makes him look a tad immature. The Chicago Bulls have a superstar in Jimmy Butler and some solid pieces around him. Taj Gibson’s contract is up after this year so a hole at power forward evident. Robert Williams is a prospect whose stock has sky rocketed up this season. A superior athlete, Williams is a player who will be drafted off what he could be, not what he is. The Indiana Pacers need help at the two-guard position. Monta Ellis is serviceable, but is 31 and Rodney Stuckey is not scaring anyone. Terrance Ferguson is someone who can come in and be the SG of the future. At 6’7’’, Ferguson possess elite level athleticism and has the shooting stroke to match. With his frame, he also has potential to be a plus level defender. 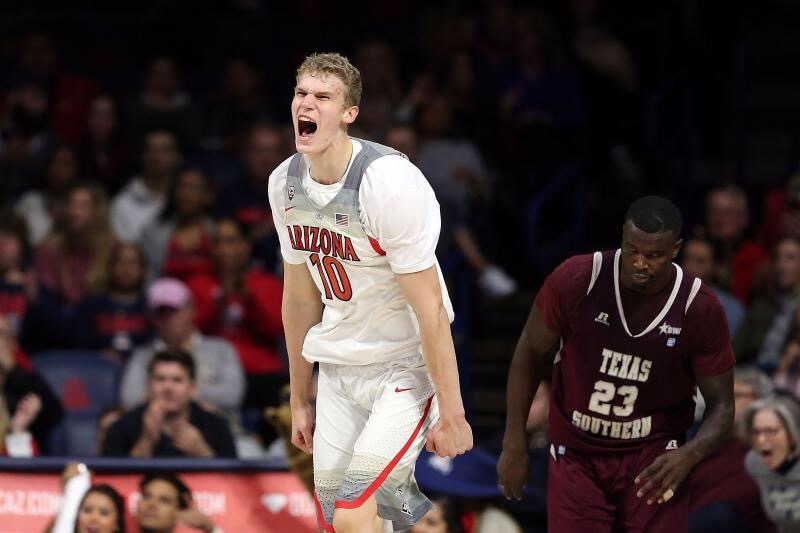 He took a more un-conventional route, spurning the University of Arizona to go play professionally for a year in Australia. The Washington Wizards have one of the best backcourts in the league with John Wall and Bradley Beal. Otto Porter Jr. is a nice option at the three as well. The Wizards in real need of a big man for the future as “The Polish Hammer” Marcin Gortat, while serviceable, is not getting any younger. “Bam” Adebayo out of Kentucky is a player who fits the bill. What he lacks in height at 6’10’’ he makes up for in out of the gym athleticism. The Dwight Howard look alike has all the physical tools and is dripping with potential not only as a rebounder, but as a defender as well. He could turn into a nice pick and roll man if he puts it together. He is still extremely raw though with his back to the basket. After selecting Miles Bridges with their first pick, Denver should go with a high floor player. Dwayne Bacon fits the bill with a polished offensive game and plus size for a shooting guard. Bacon is a bigger two guard can also play the three. He has solid midrange game and slashes to the basket hard. While he is most effective with the ball in his hands, Bacon is not a great playmaker. He has also not really shown that much on the defensive side. Atlanta lost Al Horford to free agency but signed Dwight Howard. With Paul Millsap and Dennis Schröder set to hit the open market, Atlanta needs to prioritize. If I am the Hawks, I resign Schröder and draft big. Tyler Lydon is a player we could see here with his ability on defense to stretch the floor and defend the rim. While he won’t be a shot creator, Lydon has shown catch and shoot ability as well as solid defense. The Oklahoma City Thunder lost Kevin Durant to the Warriors, which only made Russell Westbrook turn into the one-man machine that he is right now. Victor Oladipo and Steven Adams are nice pieces as well. With wing scoring not being Andre Roberson’s forte, Blossomgame can provide just that. With his jumper from beyond the arc coming alive late January, the senior tiger has flourished as he was already carving defenses from inside the arc. He could also potentially see minutes as a small ball four. Johnathan Motley has played his way into the first round this year as the Baylor Bears have shocked nearly everybody with their play. 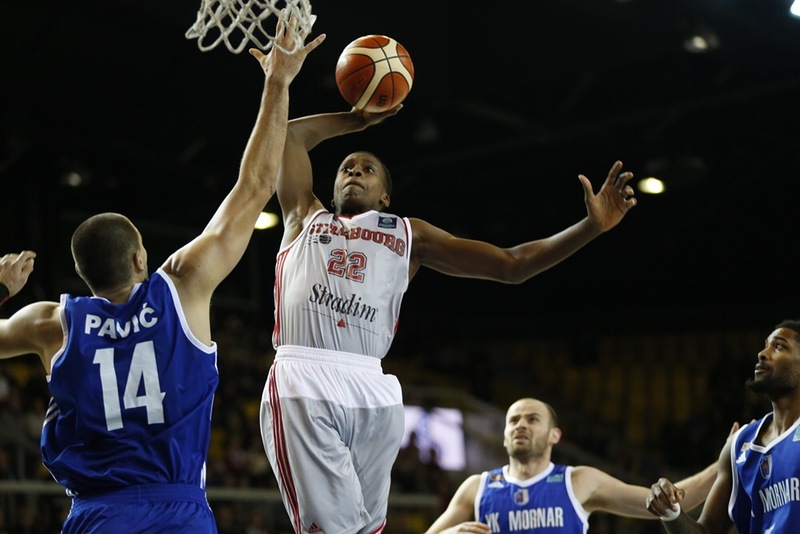 Motley is a good rebounder and with a 7’3.5’’ wingspan possess upside defensive rim protection potential. His offensive game is growing with his back to the basket and should be a nice complementary piece one day. Motley needs to pick up his fundamentals on D as he is prone to picking up quick fouls. The Utah Jazz have one of the most exciting young cores in the league with Gordon Hayward, Rudy Gobert, Rodney Hood and Derrick Favors. They also have Trey Lyles and Dante Exum off the bench. Hayward has a player option for next year. He will most likely accept, but Utah could use wing scoring off the bench behind him. Jackson is a good fit with his ability to make shots and play high-IQ fundamental basketball. The Nets are really feeling the effects of trading future draft picks, as they should have the number one pick but Boston has the right to swap with them. Sitting at 25 with a lot of work to do, Brooklyn will look for young piece to contribute. Cam Oliver out of Nevada could very be that piece. The 6’8’’ sophomore is a terrific rebounder all ready, and has shown the ability to stretch the floor out to the 3-point line. Oliver could be the perfect pick and pop piece for Isaiah Whitehead and Caris LeVert to play with. After selecting Johnathan Motley with their first pick, the Raptors should swing for the fences on potential. There is no better player to do that with at this point in the draft than OG Anuoby. 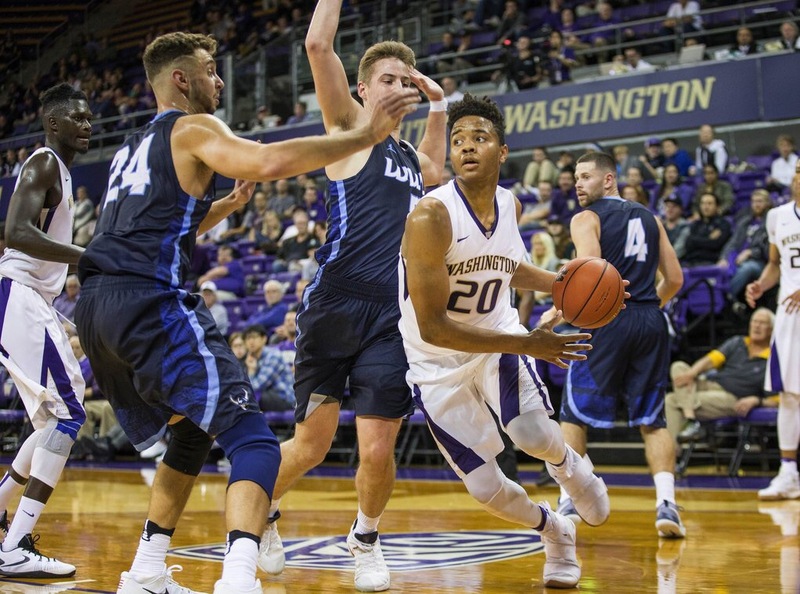 The sophomore wing was considered nearly a lock to be a lottery pick and the first non-freshman off the board until tearing his ACL in late January. OG projects as plus defender who can guard multiple position and is one of the better overall athletes in the class. Picking him here gives the Raptors a chance at landing a top 10-player talent wise when healthy. LeBron all year has been asking for another playmaker and the Cav’s certainly need help behind Kyrie at the point. PJ Dozier fits in here very nicely with his elite size (6’6’’) and combo guard abilities. With his size and athleticism, Dozier is a miss match for smaller point guards and slower shooting guards. Alec Peters is a scorer in every sense of the term. With the ability to put it on the deck as well as shoot it from deep, Peters has the making of a NBA stretch four off the bench. Peters is also a better rebounder than he gets credit for. Will he be able to translate to the athleticism and length of the NBA as he is not a plus athlete and is not a physical specimen. Back to back seniors in the NBA draft, who would have thought? Say what you want about Josh Hart’s ceiling, but the San Antonio Spurs are getting a player who is built for their system. An efficient scorer with range out to the 3-point line, Hart can hold his own on offense. He also provides the defensive toughness you look for in your bench guards. He may never be a NBA superstar, but Hart will have a spot in the league as a team first, gritty guard.